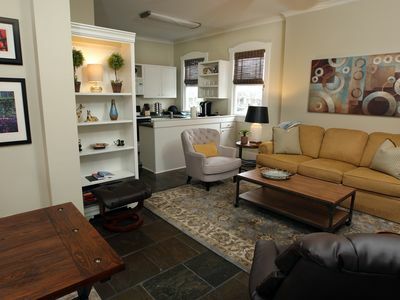 2BR Downtown Memphis House Close to Everything! Dust off those blue suede shoes! Known for its vast cultural influence and connections to country, soul, and rock 'n roll music, Memphis, Tennessee has something for everyone to enjoy! This historic town has stayed in touch with its roots, offering much in the way of music and arts, museums, and more. 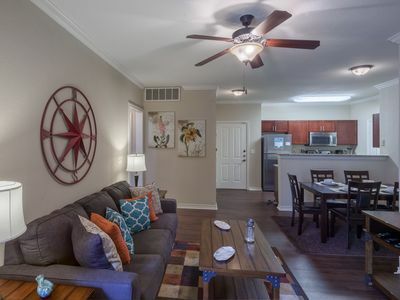 This fabulous downtown vacation rental house is the perfect place to call "home base" while you explore this incredible city! 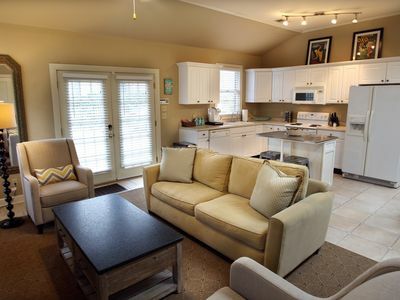 This beautiful, well-appointed 2-bedroom, 1.5-bathroom vacation rental home is centrally located in downtown Memphis just 8 blocks away from the trolley, which can take you wherever you need to go. Brightly colored furniture and artwork, as well as an abundance of glorious natural light, give this home's interior a welcoming and inviting ambiance. 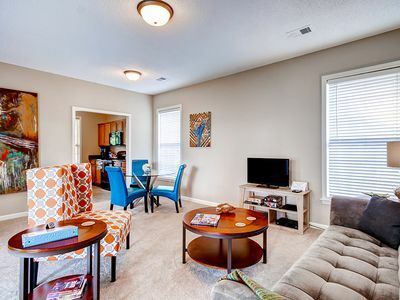 All the amenities you need to have a fun and relaxing time in Memphis are here, including cable TV, wireless internet access, and an in-unit washer and dryer for your laundry needs. 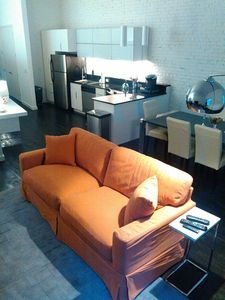 Flat screen TVs in both the living room and master bedroom provide plenty of entertainment, so you can unwind to the fullest after an exciting day of sightseeing and experiencing this unique city. 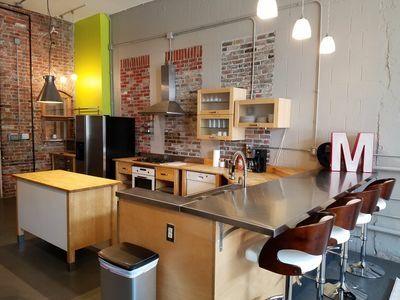 The fully equipped kitchen is perfectly sized to cook for your group, and the adjacent dining room features an elegant glass table for you to enjoy your meals. 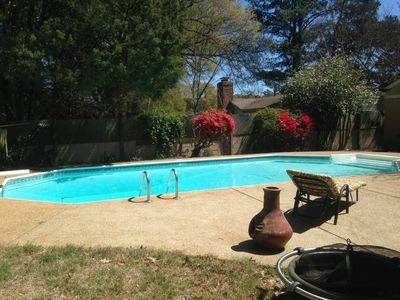 Take in as much of Memphis' wonderful weather as you can while spending time outside in the property's fenced-in yard with private patio. 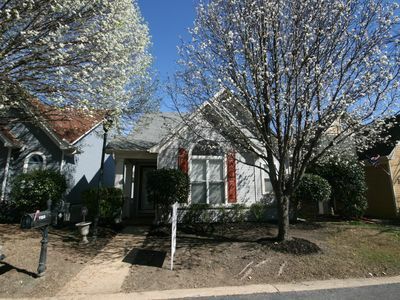 This property is only a 10-minute walk from the largest Bass Pro Sports shop in the country! Take a quick walk to the Pyramid and you'll quickly realize why this unique location is more than just a store. Outdoor enthusiasts and families alike will find something to do here, including visiting the Waterfowling Heritage Center, enjoying a meal at Uncle Buck's Fishbowl and Grill, or marveling at the 28-story free standing glass elevator. 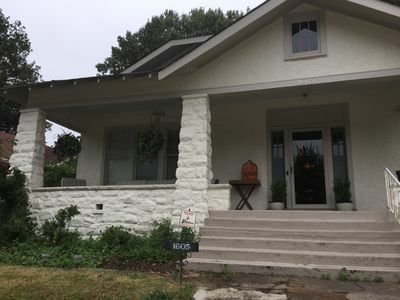 Located only 2 blocks from St. Jude in uptown and a short walk away from Mud Island, this property is ideally situated to let you enjoy practically everything Memphis has to offer. 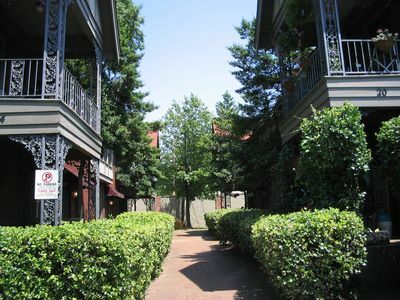 The activities and attractions around the home and in Memphis are numerous and far from ordinary! 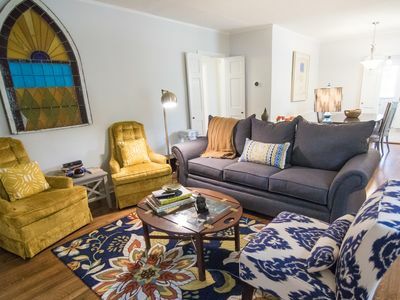 Whether you plan to spend your time in Memphis sightseeing, relishing in the area's immense music history, or simply relaxing, this charming vacation rental home will quickly become a place you love coming home to at the end of the day! 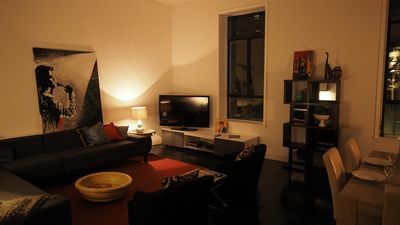 - Fantastic location! 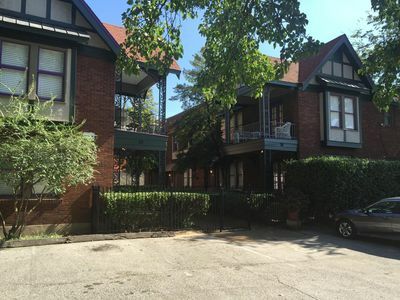 2 blocks from St. Jude, a short walk from Mud Island, and 8 blocks from the trolley, which can transport you all over Memphis! Mud Island in Downtown Memphis!